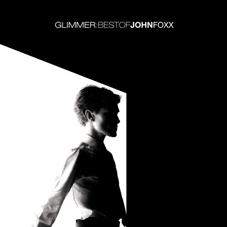 Glimmer brings 2001's Modern Art up to date and provides the definitive John Foxx compilation album. A smartly slipcased double CD, Glimmer focuses on the whole of Foxx's career, both solo and his work with Louis Gordon. The Foxx/Gordon tracks, such as "Quiet City", a new mix of "Cities of Light 5", "Through My Sleeping" and a variety of Ultravox reworkings from the Exotour, are particularly welcome, alongside classic singles such as "Underpass", "No-One Driving" and "Europe After the Rain". "Twilight's Last Gleaming" is the only track representing Foxx's 1983 album The Golden Section and 1985's In Mysterious Ways has been overlooked completely, along with recent works such as Crash and Burn, From Trash and the acclaimed Tiny Colour Movies, which sadly makes the picture feel slightly incomplete. However if this album is designed as a sort of introduction to Foxx’s music, new fans are surely in for a treat. Tasters of Foxx's ambient Cathedral Oceans work and 2003 collaboration with Harold Budd break up the electronica, and the second disc ends with a previously unreleased extended version of "Plaza" and an early version of "No-One Driving" as well as the recent Dubterror/Karborn remix of "Burning Car". Glimmer being slightly Metamatic-heavy comes as no surprise, given that it is still widely regarded as Foxx's best album and an innovative work for its time. This collection is at least more than a singles collection, boldly attempting to provide a snapshot that covers the huge scope of Foxx's musical output over the last 30-odd years, and despite the omissions, it does just that.